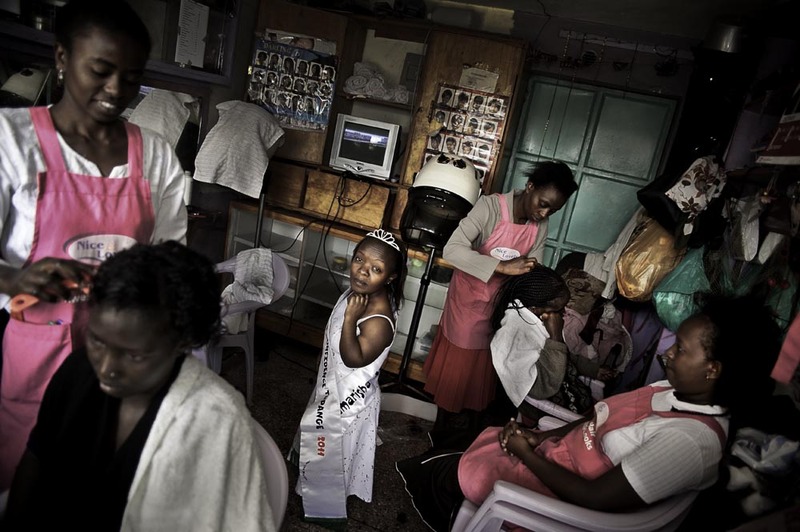 Ruth stands in her newly won sash and tiara in a beauty salon below her one bedroom apartment in a suburb of Nairobi. Ruth is three feet tall. She entered an able-bodied beauty pageant ‘Miss Fabulous Kenya’ competing against hundreds of women. After three intense rounds she walked away with one of the top three prizes ‘Miss Confidence’. Through the next lot of photographs Ruth tells us her story.